Individual members of the Westfield Center receive complimentary copies of Keyboard Perspectives and the newsletter. Please contact the office with any questions regarding library subscriptions and past issues of Keyboard Perspectives. The Yearbook of the Westfield Center for Historical Keyboard Studies provides a rich and lively forum for scholars, performers, instrument-builders and amateurs of the keyboard across both time and genre. 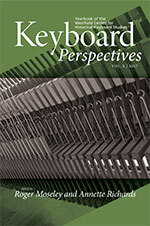 Keyboard Perspectives offers peer-reviewed articles, interviews, and reviews of the highest scholarly quality in a style accessible to music lovers and the public at large. The newsletter, published two to four times a year, features short interviews and exploratory essays as well as institutional news and relevant contributions from members and related organizations. The Westfield Center welcomes announcements of events and conferences. For further information, e-mail us. See list of all issues. 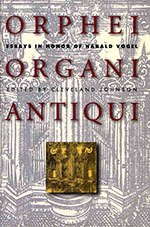 Orphei Organi Antiqui, "for the Orpheus of the Historic Organ," celebrates the multifaceted career and visionary endeavors of Harald Vogel, a pioneering authority on German keyboard performance of the eighteenth-century and earlier. The volume addresses topics in keyboard literature, performance practice, improvisation, congregational singing, organ restoration. Read more about Orphei Organi Antiqui. 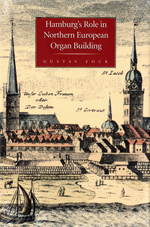 During the sixteenth and seventeenth centuries, the organ builders of the city of Hamburg created the most influential organs of their time. This seminal essay by the respected historian Gustav Fock, originally published in 1939, is updated not only by Fock's later writings, but also by recent research. 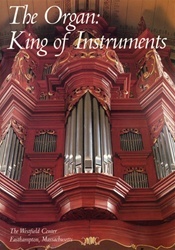 Read more about Hamburg's Role in Northern European Organ Building. $2.98 - For ordering information, e-mail us. $7.98 - For ordering information, e-mail us.